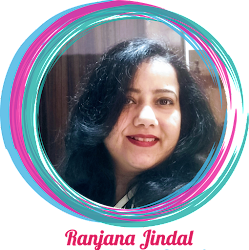 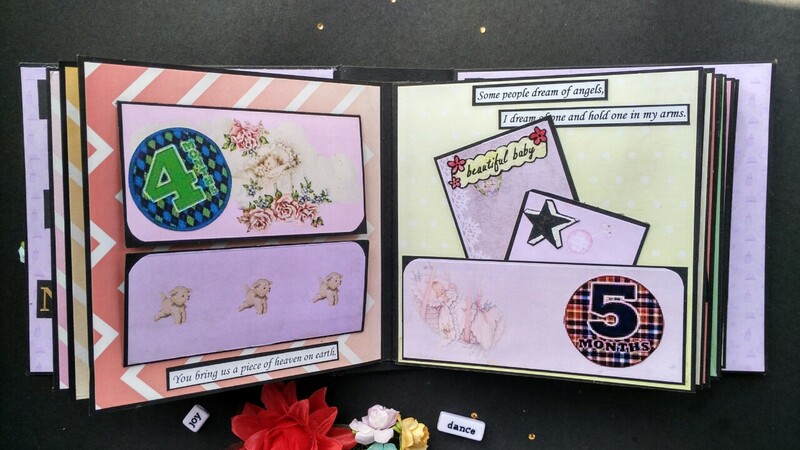 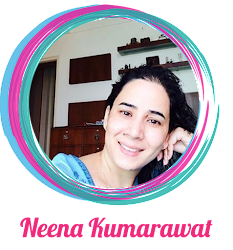 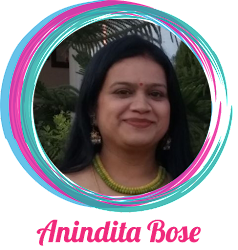 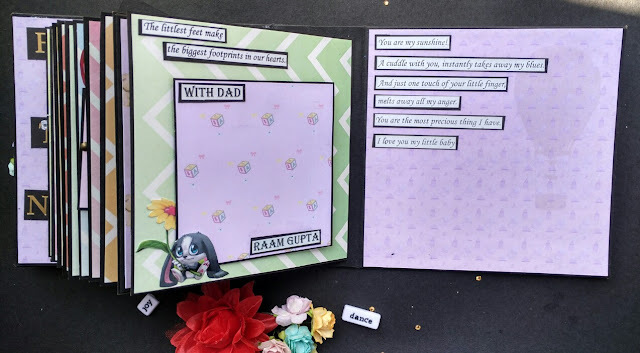 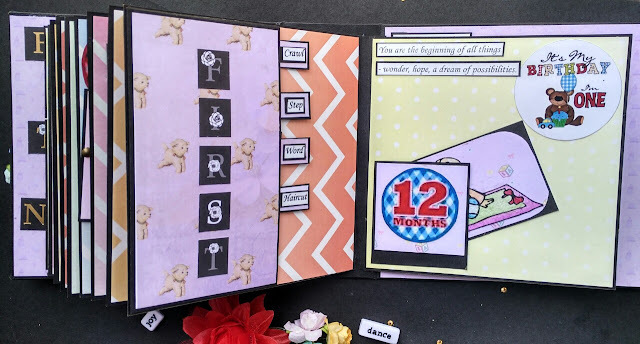 This is my first post as a Guest DT at Nakshathra Designz blog,i am very excited to share my project, which is a baby book. 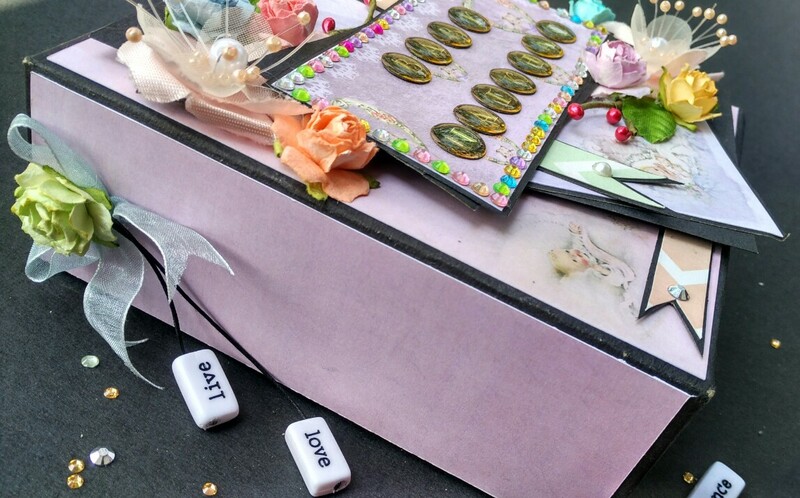 The real moment will disappear but we will always have the memories to treasure. What can be better than recording all the cuteness of the child and gifting them the best of all memories. 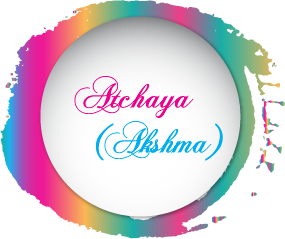 It would be an awesome feel.. isn’t it?? 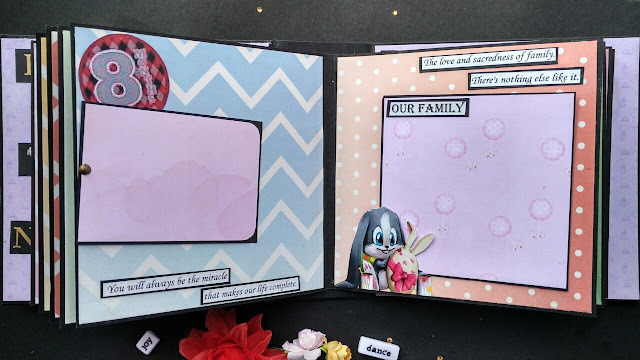 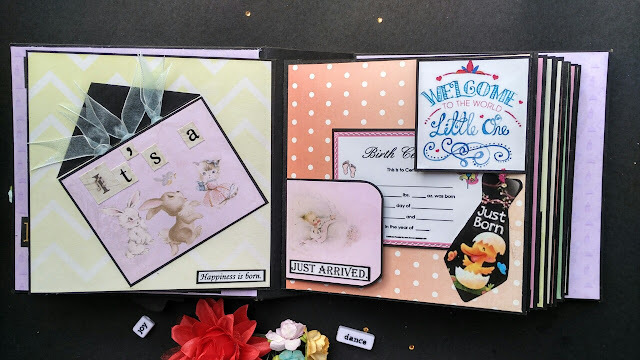 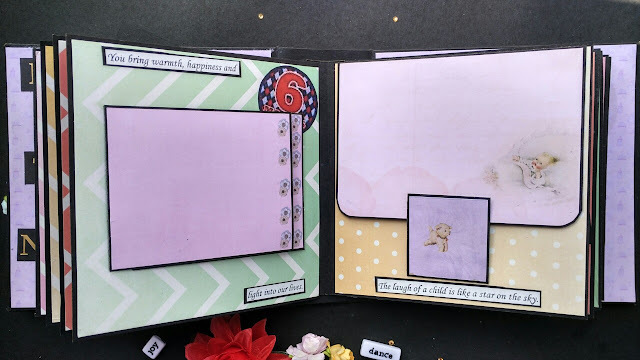 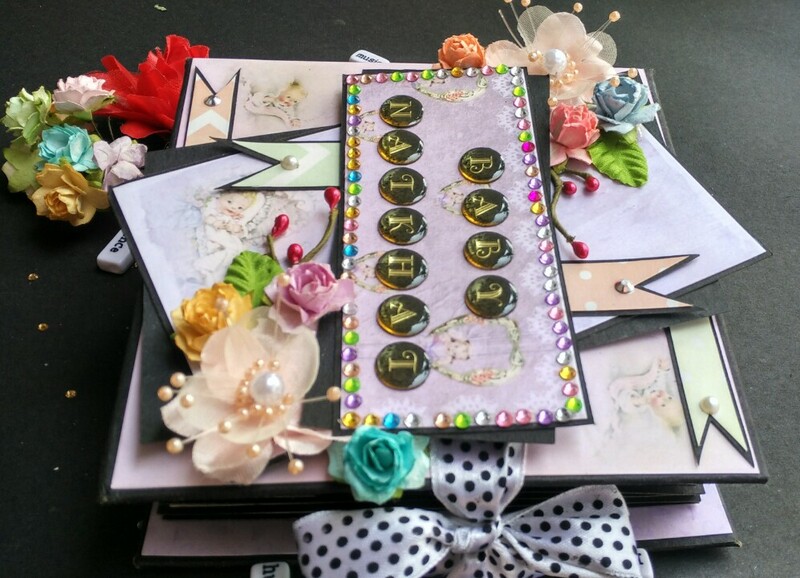 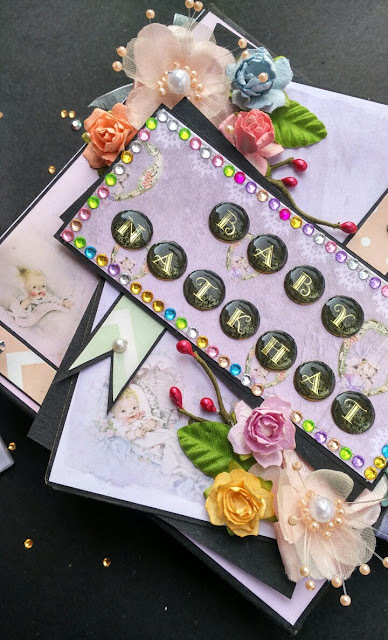 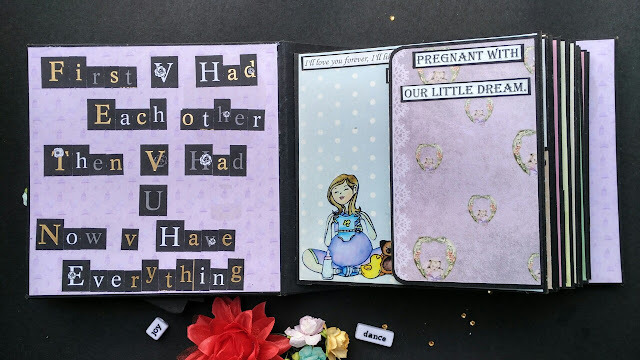 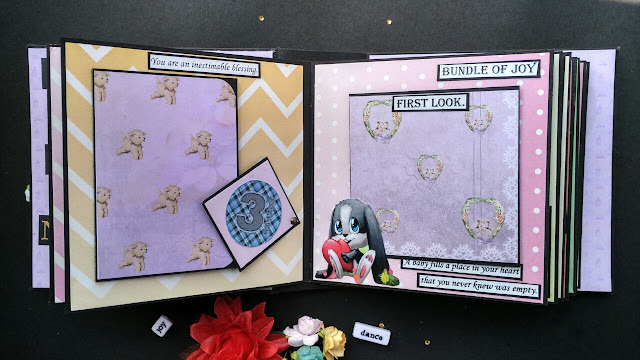 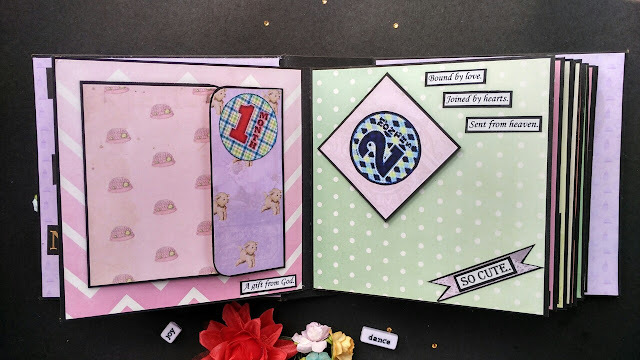 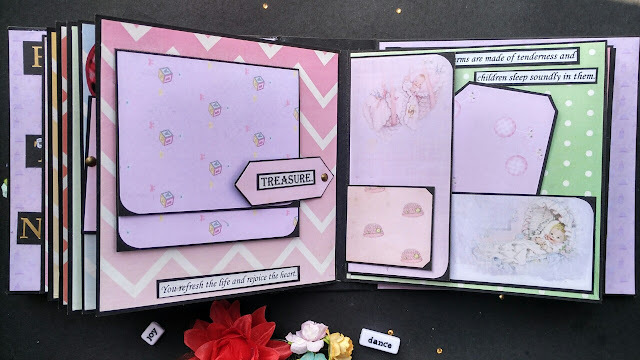 Now about my project, I have used charming princess and Sparkling Colors-Ombre polka dot and chevron paper packs from Nakshthra Designz to create this baby book. 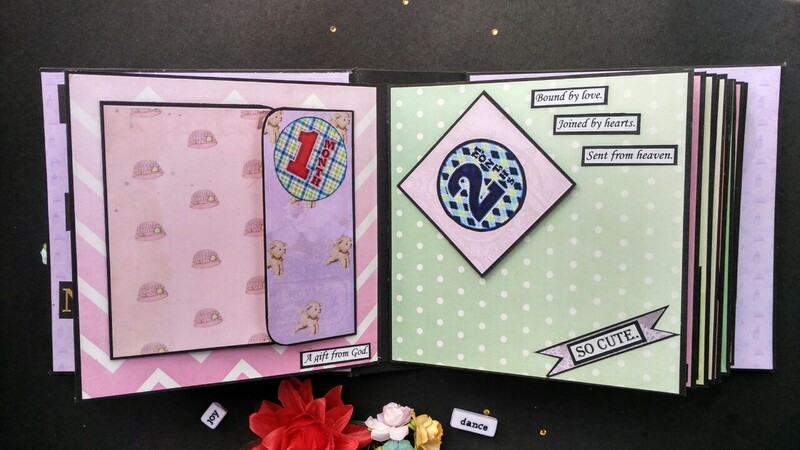 Its 6 by 6 inches book with lots of flaps and interactive pages. 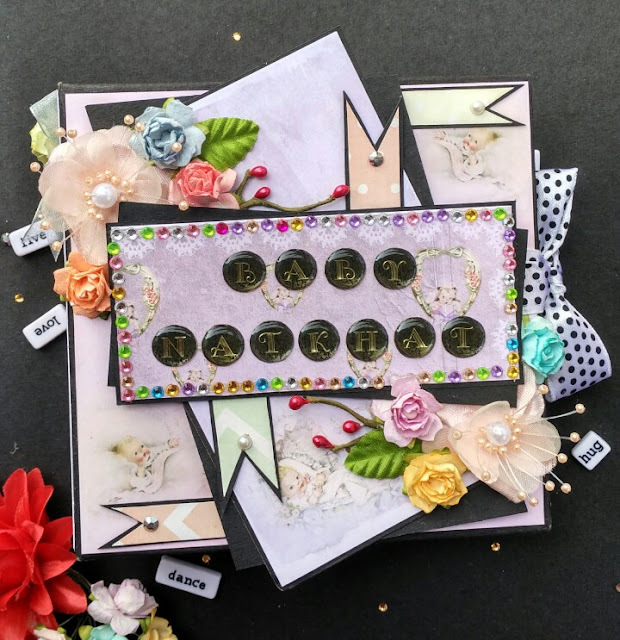 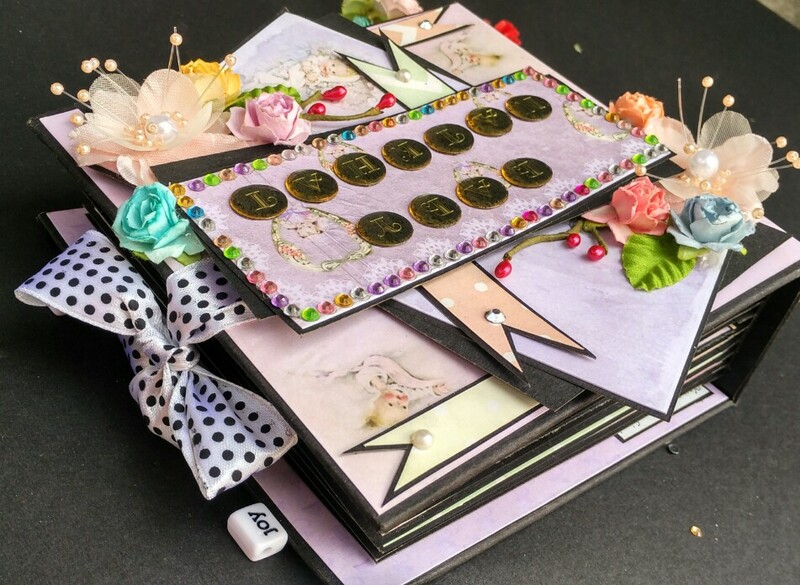 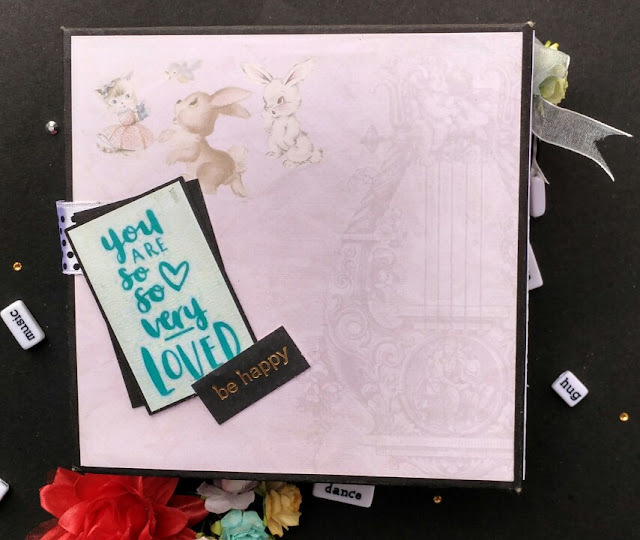 For the cover I have layered three papers from charming princess pack using thick double sided tape to give each layer a embossed effect and added few flowers. 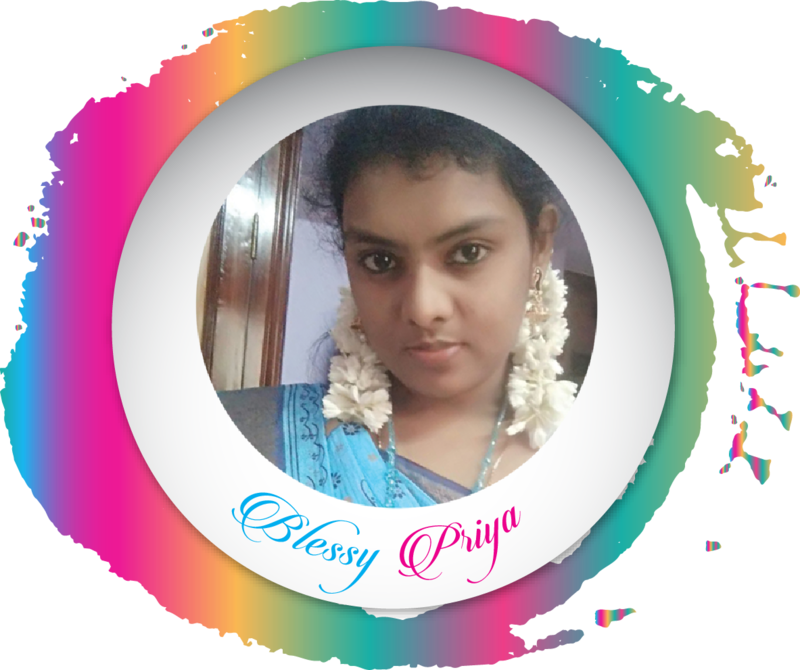 You can check the video in Nakshathra Designz facebook page. Here is the inside pages. 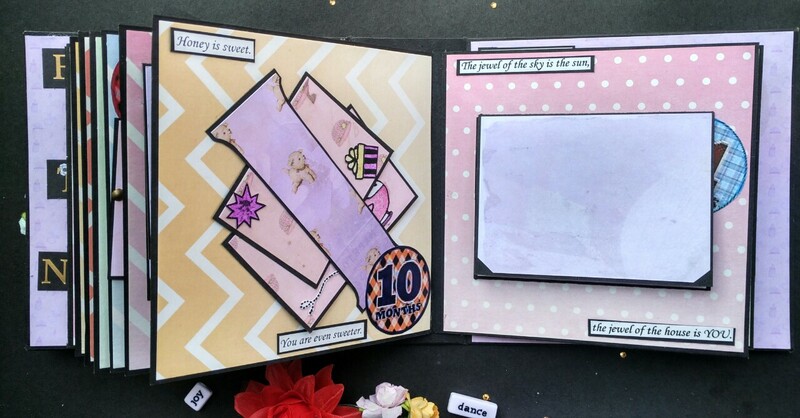 It has 10 uniquely designed pages. Hope you all liked my project. 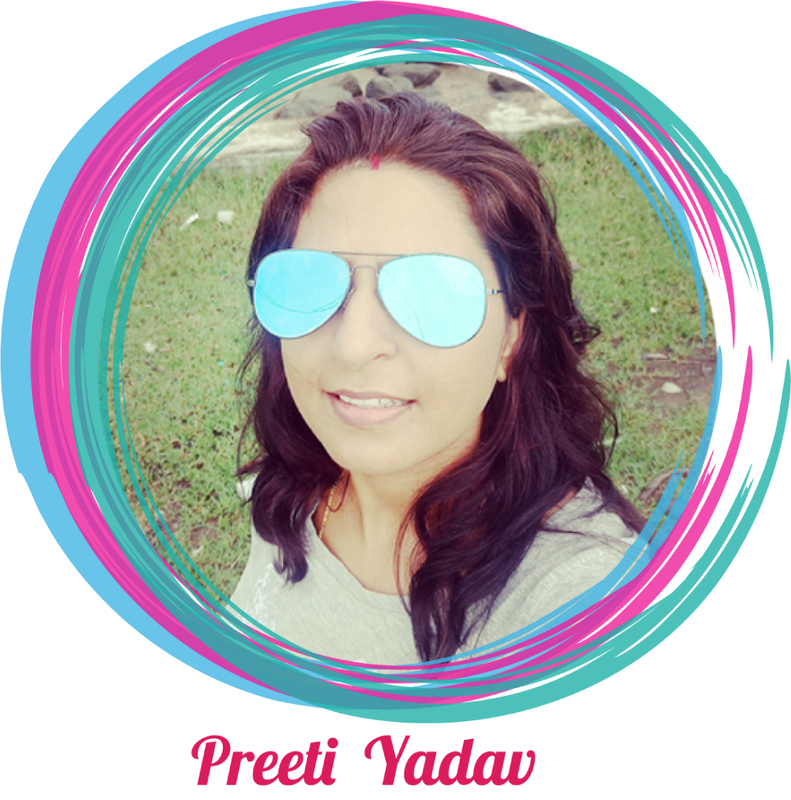 Feel free to share your views and suggestions in comments.